Anyone interested in living permanently in the United States may be interested in finding an immigration lawyer. You need to clearly understand how an immigration lawyer can help you during the process. An attorney can also help you avoid the pitfalls that can occur during the immigration process and help you realistically sort through your options. Immigration lawyers are affordable and accessible and are therefore a helpful asset to you. You are entitled to see letters of accreditation and a certificate for State Bar Association when selecting your lawyer. Make sure you speak personally with any attorney you are considering and ask if there is a fee for initial consultation. If you are not satisfied in any way, it is your right to seek another lawyer immediately. A reputable immigration lawyer will tell you upfront how much he or she charges for services and be able to give you an estimate of what the total costs may be. If you think you may not be able to afford the services of an attorney, and you meet low-income eligibility criteria, there may be local nonprofit immigration assistance services available to you. 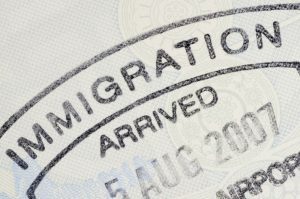 An immigration lawyer will help you to analyze your case in a thorough and professional manner. He or she will be upfront with you and let you know what you may expect. A lawyer will outline any benefits you may be eligible for and help you find the best way for you to obtain legal status in the United States. You will be helped as you complete and submit proper applications and make sure everything is processed right. Your lawyer makes sure to keep up to date on all the latest immigration laws and will help you use them to your advantage. He or she will keep you apprised of any movement in your case and will help you avoid delays and problems. You lawyer will, of course, represent you in court or speak for you in any other forum that affects your interests. Should you need to file materials such as appeals, your lawyer will be there to perform that function as well. In short, an immigration lawyer knows the system and does everything to help you achieve your goals. The immigration process is best served by using a professional. Do not use a lawyer from another country who may not be familiar with American immigration laws or who is not qualified to practice law in the United States. Be careful to avoid persons in non-legal fields who may profess to be able to provide you with faster solutions. Remember that you are in charge of your own destiny. If living in the United States is a part of your future long-term goals, be careful in selecting the proper legal assistance to make your dreams come true.